The new legislation gives those with a six-month prognosis or an irreversible fatal illness the right to seek a doctor's help to die. Gov. Phil Murphy said he would sign the bill, calling it the "right thing to do." Sure, the undead are scary, but they don't faze me after facing the true realities of life and death. In many ways, our family is happier — yes, happier ― than before we received Sam’s diagnosis. As much as my dying means tremendous loss, it also brings gifts of unimagined beauty and joy and love. These children have already figured out what's important. The state's End of Life Option Act went into effect last year. Your spirit and joy will live on forever in the hearts of those around you. “I say kiddingly, but I mean it." I am young woman with a rare disease pursuing my dreams. I wore bandages from head to toe until I was 24. Jay is a father and husband living with ALS. When I was diagnosed with ALS, I was given two years to live. Two and a half years later here I am typing this article using my eyes, while being fed through a tube in my stomach and wearing a breathing mask to give my diaphragm a break. I am one of the lucky ones, and I'm thankful for that. Having a child with a terminal illness and knowing their days are numbered will make you wish time would stand still. Many terminally-ill children are forced to deal with their health challenges before they have developed the coping skills to understand the gravity of illness. It is this fact that predisposes them to depression and feelings of loneliness, being overwhelmed, and worry. 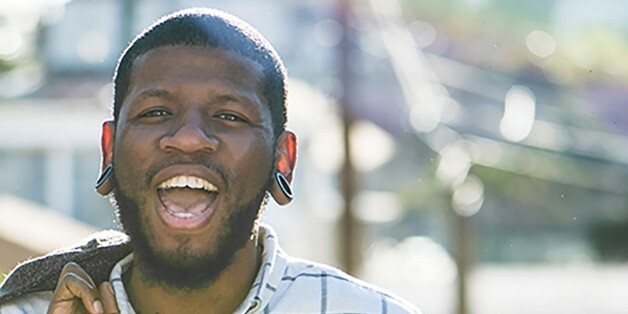 At 32, Quincy decided that instead of giving up and waiting for the end that he would continue to live his passion: comedy. Despite ongoing chemotherapy, he didn't stop touring because he wants nothing more than to leave behind a comedic legacy that will not be forgotten. Don't feel too 'sorry' for us. We are very lucky to have a child like him and to be shown a secret world which has changed our perspectives on so many many things... yes it is 'sad' but Ethan doesn't need "sadness;" he needs love, laughter and to live his life to the best of his abilities. Does Tragedy Make Us Better? As humans, we always want more than what we have, and so we will suffer. We will always want to change our circumstances for the better. And as we reach beyond our grasp, we will fall. We will have pain. God doesn't have to make that happen. It simply does. After my son, Ethan, was diagnosed with a rare and fatal genetic syndrome called Hunter syndrome, my husband and I were offered a place in a support group for parents who are raising children with special needs. We didn't have a babysitter, so I found myself sitting alone in a circle surrounded by strangers four months after Ethan was diagnosed. The doctor had just left the room. He did excuse himself ... but I had no idea why he left the room. We sat there. The silence still ringing in our ears. In 2014, 36 year-old Austin, Texas man was given less than two years to live. He was diagnosed with Amyotrophic Lateral Sclerosis, commonly referred to as Lou Gehrig's Disease. Now confined to a wheelchair, unable to walk, eat, use his arms, or speak, he is making a public plea to be turned into a robot.